Many job interviews have specific questions that relate to how you will perform the job. Marketing job interviews are a prime example. The success of the company is going to depend on your ability to generate effective marketing campaigns and strategies, and if you are ineffective at creating those strategies you are not going to be right for the position. One sample marketing interview question is “How do you create your marketing strategies?” The goal is to find out what process you use to decide what type of campaign you are planning to run with the brand you work on. Honest answers here are the best answers. What strategies do you usually employ to determine the marketing campaigns you would like to run? Most employers simply want to know that you put thought into each of your campaigns instead of running them blindly. They are less concerned with the method you use to get there. However, there are ways you can make your answer stronger. In order for a marketing strategy to be successful, it must be multi-faceted, realistic measurable and implemented consistently over time. Always discuss the research you do before launching a campaign to decide the best way to market the product. Companies want to know that you put a lot of careful planning into each campaign. Bring a portfolio. Portfolios are a great way to show your marketing competency. You can use the portfolio to prove that you utilize effective strategies and possibly show the methods you used to devise those plans. Describe a variety of ideas. Marketing interviews are designed to see that you have vision, and that you can put your vision into action. The more ideas you have, the more the company can see it is in good hands. 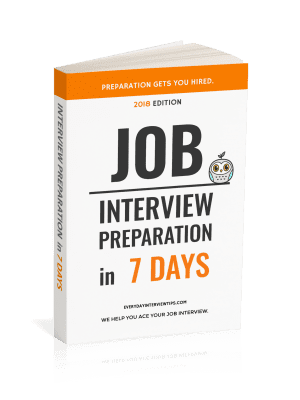 You can also mention how you evaluate these strategies to show the employer that you do not simply research strategies beforehand and run with them, you also quality check them to ensure they are meeting their ultimate goal. 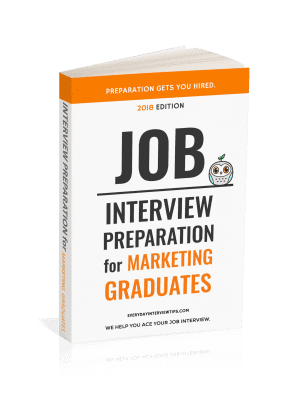 For these types of marketing interview questions, your answers do not have to be limited to strictly answering the question. When the company asks you how you come up with your strategies, they want to know that you can create big ideas that will help catapult them into greater levels of success. Part of that includes how you analyze the strategies you have in motion, how you plan them, etc. So while the question may be about the birth of the idea, the answer does not need to be limited to its inception. Make sure you show a broad range of capabilities by discussing multiple marketing strategies. It is okay to emphasize all aspects of the marketing process when you answer interview questions.